You may or may not be aware that Acer has a new Android smartphone up their sleeve, a device that is probably as close to a top end smartphone that we’ll see coming from Acer, as the company usually puts out low-end to mid-range handsets. The Acer V360 smartphone was initially spotting last week and will be the first Jelly Bean smartphone from the company when it arrives, but last week we didn’t really know what the device looked like, but we do now. 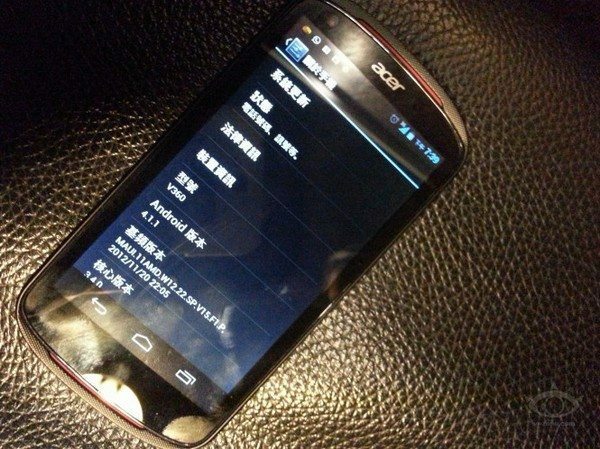 The first images of the Acer V360 smartphone has now hit the net originating from Chinese site VR-zone, and these images do confirm that the Acer V360 will come sporting Android Jelly Bean 4.1.1, which of course means it isn’t actually the latest version of the Android operating system, but no doubt will receive an update at some point in the future. When it comes to specifications, the Acer V360 is said to sport a 4.5-inch 960 x 540 qHD touch screen along with a 5 megapixel rear facing camera with flash, a VGA front facing snapper, a 1GHz dual core processor, 3G connectivity, and microSD support. The Android Jelly Bean handset is said to be 9.9mm thick and with a weight of 140 grams, and sports two speakers on the front of the handset along with Digital Theater Systems (DTS) sound enhancements due to the device sporting a DTS logo on its rear, whilst the device has rounded corners and a stripe texture back, which resembles a cross between the designs of the Acer Liquid Glow E330 and the Acer CloudMobile S500. 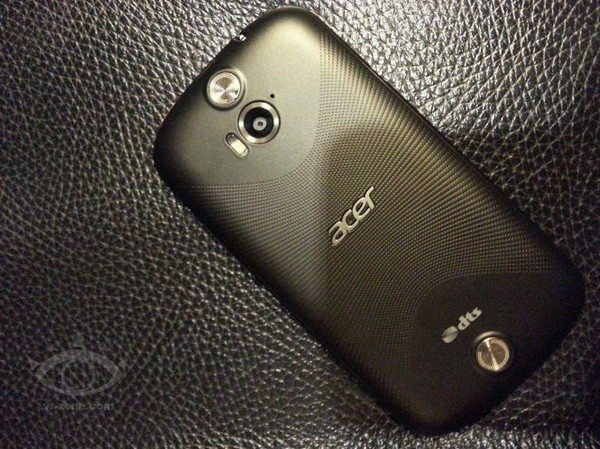 The word is the Acer V360 Android Jelly Bean smartphone will command a price tag of around $300 for the device as an unlocked handset, although it isn’t that clear just when Acer will release the V360 to the mobile space, but apparently the device will launch in China first. As to whether Acer plans on releasing the V360 outside China in North America or Europe, Acer is currently keeping that info to themselves, but of course if and when we hear we will naturally pass that information along to our readership. So there you have it, the details on the upcoming Acer V360 and a couple of nice pictures of the handset, but does the Acer V360 capture the interest of any of our Android handset fans out there, and does it offer enough to entice you to want to own the smartphone if it comes your way?